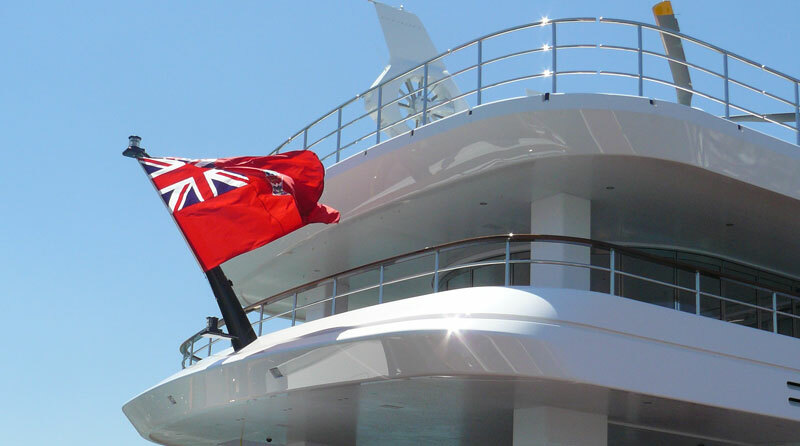 Although Britannia no longer rules the waves the Red Ensign, an internationally recognised symbol of solid regulation and safety, still flies on over 50% of the world’s superyacht fleet. So what is the reason for the enduring popularity of the Red Ensign and why does it remain so popular with yacht captains and owners? Buying a superyacht, however enjoyable, is a complicated process – there’s the finance, interior design, ownership structure and the commissioning documents to be arranged. Once this is done there’s just the matter of which flag to fly on the stern of the vessel. There are certainly plenty of options from which to choose. For many the choice will be based on pure patriotism and location of the boat. Americans typically choose to fly the Stars and Stripes, although the fear of terrorist attack has led some ocean going vessels to change registration, whilst the average French owner would recoil in horror at flying anything but the Tricolour. Whilst destinations such as Malta and the Marshall islands are going in popularity the “Red Duster”, as the Red Ensign is affectionately known, continues to be the benchmark for luxury yacht registration. 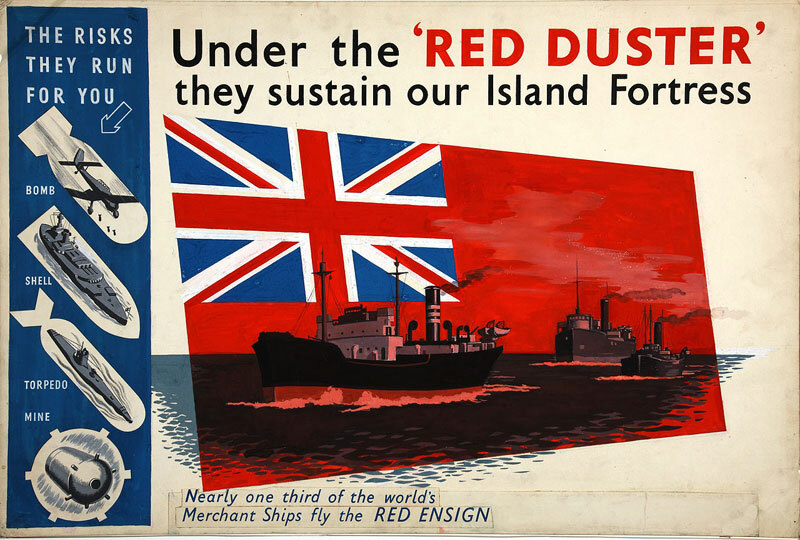 The Red Ensign Group is comprised of 13 British shipping registers made up of the UK and its Crown Dependencies and Overseas Territories, such as Gibraltar, the Cayman Islands, British Virgin Islands, Bermuda and the Isle of Man. The choice of registration is often strongly influenced by tax regimes and proposed usage. Specialist maritime law firms and yacht management businesses can guide buyers through the process. Registration is compulsory and once chosen the yacht is subject to the laws of that country and has a status comparable with nationals of that state. A yacht can be registered anywhere, regardless of where it was built or where it is berthed and the registration acts to ensure the protection of the vessel by that state, such as naval intervention if required. So where to register the yacht? The advantage of flagging vessels in countries with less demanding regulations are disappearing as international maritime laws consolidate the authority of the International Convention of the Safety of Life at Sea (SOLAS). Also relevant is the Large Commercial Yacht Code (LY2), which covers vessels of more than 24 metres. A new code, LY3, is to be introduced to strengthen regulations further. An important factor in the choice of flag can be the efficiency and speed of the process. This can be particularly important at the hand-over stage when financing is involved as the bank will seek to register a charge over the yacht immediately and will not welcome any bureaucratic delay. The Cayman Islands has exploited this to maximum effect in recent years as its streamlined system ensures a quick turn around. Insurers too have a vital role to play. They will be looking to ensure that the regulations of the registering entity meet the standards laid down by LY2. Typically these large yachts are held in a corporate structure, limiting liability in event of an accident and preventing the owner being personally taken through court proceedings should they arise. Corporate and Trust structures based off-shore also have the benefit of concealing the identity of the owner, although today the ownership of most big boats can be found by a quick Google search and their movements tracked on a home computer. 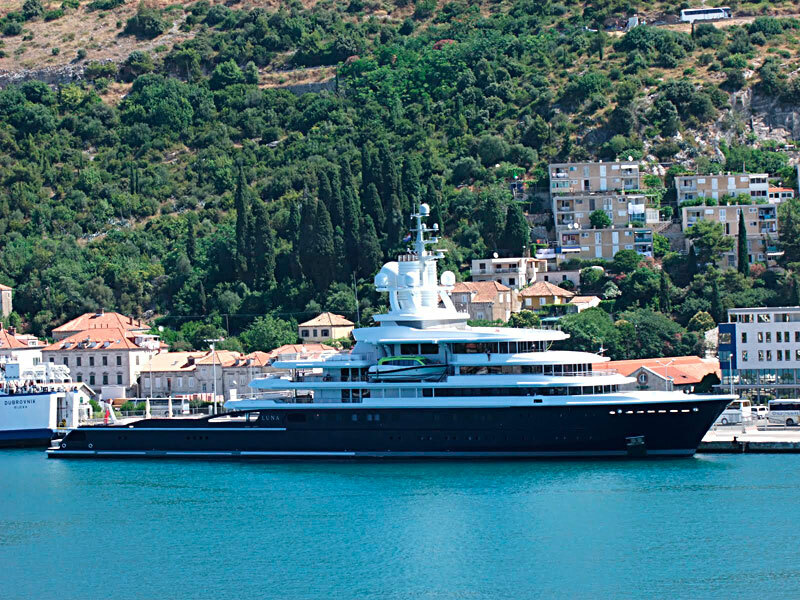 Whilst the cost of registration is small and not usually a factor in the choice of registry off-shore territories such as Gibraltar and Malta can benefit from their advantageous tax and company regimes to further attract superyachts and their owners. Malta has become a popular choice over the last few years as a result of its efficient registry and tax benefits. But now other better located territories such as Gibraltar are upping their game and offering 0% Import Duty as well as the tax and registry benefits. Ultimately though most superyacht owners are interested in prestige and the ultimate cachet still rests with the Red Duster and its reputation for solid regulation and security. The Red Ensign first entered usage in the 1620’s and was made the flag of merchant shipping by Charles II in 1674. Bermuda is the only territory to use its Ensign for land and sea purposes. The White Ensign is flown by Royal Navy vessels. The Blue Ensign is flown by Royal Navy Reserve vessels.